The Westford Republican Town Committee is contributing $50, the maximum allowed under our bylaws, to the Geoff Diehl campaign. 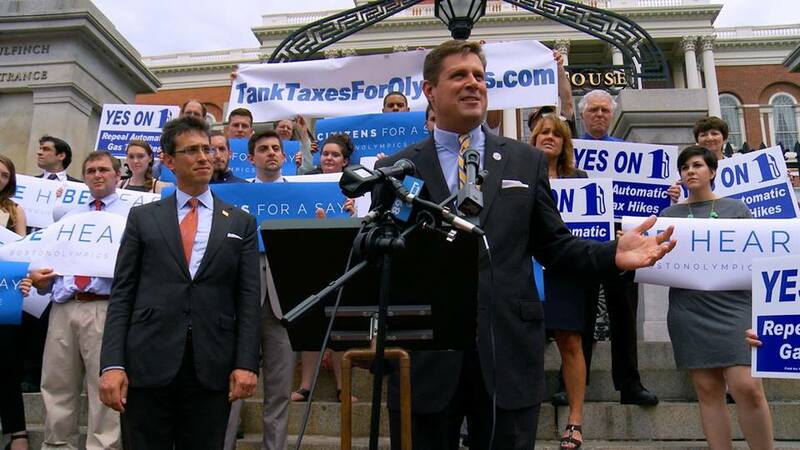 The WRTC supports Representative Diehl in his efforts to prevent the expenditure of Massachusetts tax dollars for the Boston Olympic games. We will actively work with Geoff to collect signatures to take the question to the ballot and let all Massachusetts voters decide. The WRTC urges all Republicans to support the initiative and Representative Diehl. Even the smallest contribution makes a difference in a campaign. Please contribute as you are able. Read Geoff’s message to voters. By now you probably heard the news that I will be partnering with Evan Falchuk to do a ballot question to stop your tax dollars going for the Olympics. Just as important as repealing automatic gas tax hikes is prohibiting the abuse of our tax dollars. The International Olympic Committee wants Boston 2024 to sign an agreement that taxpayers will fund any cost overruns. After reviewing the finances of past Olympics, I found that the average overrun was 179% costing taxpayers billions of dollars. For example, the original budget for the London games was roughly $5 billion. It ended up costing $14 billion! China’s games cost $40 billion. I don’t want us stuck with paying off these bills for the next 2 decades! That’s why I’m going to do another ballot question.We shouldn’t have to do a ballot question, but we do. The legislature has refused to pass legislation prohibiting tax dollars for the Olympics. We all know why…. I am proud to stand up for the taxpayers and that I don’t take my marching orders from special interest groups or the politically connected. But that does make me a target next year. Tuesday is the end of the campaign finance reporting period. It is crucial that I show strong support. Would you please click here to make a donation? Your contribution of $500, $250, $100, $50 or $35 would mean a great deal to me. It would show that you are with me on taking on the Beacon Hill power structure that always wants more of our hard earned paychecks. Please let me hear from you today.